IHK Cologne elected the „Trainer of the Year 2017“. (IHK Cologne / Ulrich Kaifer) Award ceremony IHK Cologne “Trainer of the Year 2017”. Good training depends crucially on the lifeblood of motivated trainers. 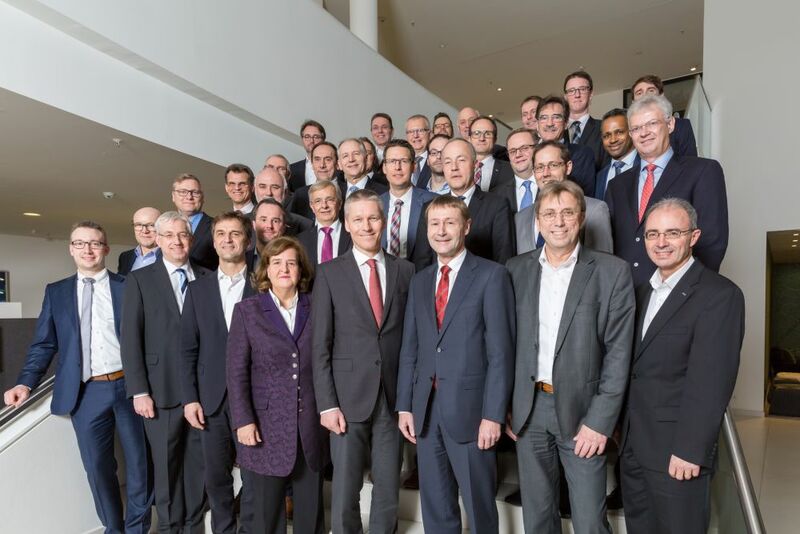 In order to honor their commitment, the Cologne Chamber of Industry and Commerce regularly announces the “Trainer of the Year” competition. 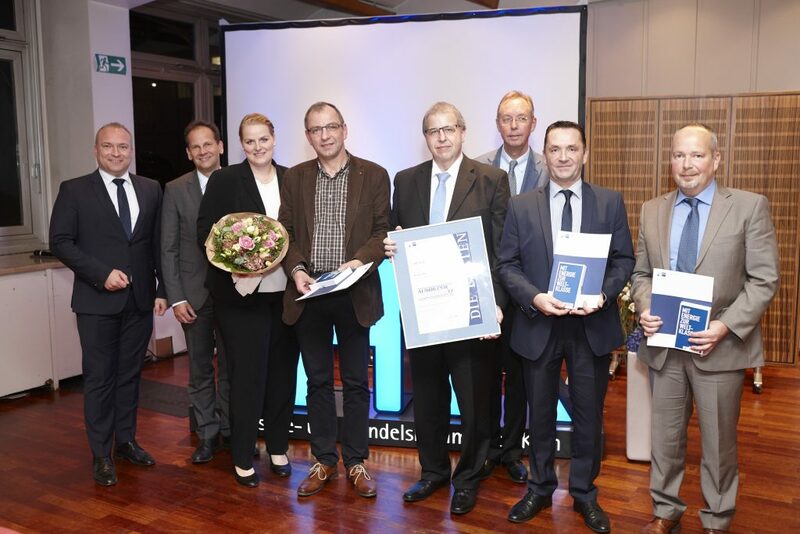 This year on November 11th, the IHK had invited five finalists and their companions to Cologne to award the winner of the “Trainer of the Year 2017”. Josef Stinner was one of the five nominees who was eagerly awaiting the announcement of the winner. A jury of experts selected the five nominees and finally the winner from a field of approximately 50 applicants. In addition to the main competition, in which this jury decided, there was also online voting this year. Interested parties were able to take part in the public vote for the audience award on the website of the IHK Cologne. The IHK Cologne presented video portraits of all five finalists as a decision-making aid. These short films, supplemented by a brief profile of the instructors, were presented to the audience before the award ceremony. Josef Stinner and winner Linda Drexler of Hotel Hyatt Regency were head-to-head in the online voting for the audience award, said Christopher Meier, Managing Director of Training and Further Education at the IHK Cologne. The jury then awarded Michael Jonas from Atlas Copco Energas GmbH as “Trainer of the Year 2017”. The award ceremony of the IHK brings the performance of all trainers into the public eye. Companies sometimes invest a lot of time and money in their training programs. In addition to other factors, the quality of these depends very much on the personal commitment of the trainers. In recent years, a lot has changed in the training sector. Digitization and new production processes lead to the creation of new training profiles, trainees taking on completely different tasks in the companies and the use of new media for knowledge transfer. Trainers are more challenged than ever before. Even though Josef Stinner did not come in first place…”We are proud of his nomination and are pleased about the recognition of the IHK and the audience and of course about the apprentices who took part in the video portrait. They described their trainer as a trusting partner, role model and specialist who is fully committed to his trainees, who motivates them and makes learning processes alive with modern training methods, such as learning in practice and in teams. A confirmation and a great praise for the performance of Josef Stinner and the entire training team – and for an education in which learning, and teaching is not only prescribed but already implemented in this rapidly changing world. Pictures (IHK Cologne / Ulrich Kaifer) Award ceremony IHK Cologne “Trainer of the Year 2017”.